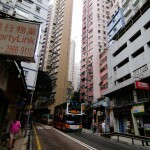 There are few cities as well-discussed in urbanism circles as Hong Kong. 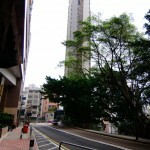 As one of Asia’s premiere financial centres, Hong Kong has developed hyper-dense and hyper-tall due to a difficult geographical location in combination with a truly unique geopolitical setting. The city has spawned an array of remarkable solutions to its array of urban issues, ranging from one architect’s convertible apartment to the city’s desire to halt rampant property speculation. 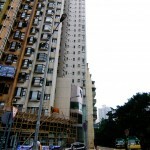 Perhaps the most important urban strategy that makes Hong Kong a celebrated exemplar of planning and design is the high-density residential architecture in Hong Kong. 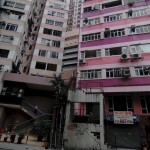 While Hong Kong’s large population is often discussed, those less familiar with the city might have trouble fathoming the challenges that Hong Kong must overcome in order to house so many people. 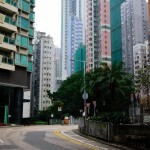 As anyone that has ever taken a bus on Hong Kong Island can attest, the geography can be described as truly insane: sudden changes in the contours of the land result in the need to capitalise on small, difficult parcels of land. The super-slim, super-slender residential towers are truly a marvel in engineering and pragmatic design: rising dozens upon dozens of storeys in the air, towers take advantage of limited space with seemingly great ease, with some buildings soaring into the sky while only being one apartment unit in width. It’s in Hong Kong’s super-slender towers that one finds at least half of the roots of Vancouverism: Hong Kong deploys extreme architecture for an extreme topography in a way that Vancouver, or most other major urban areas, could never imagine. 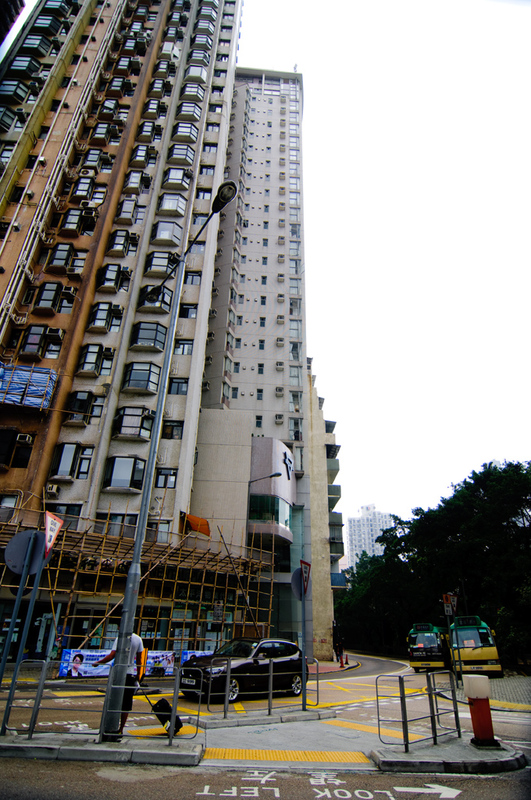 Armed with a wide-angle lens, I set out on foot to show the residential sections of Central Hong Kong, otherwise known as the Mid-Levels. 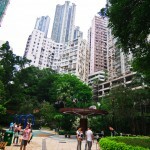 What is evident from this excursion in Mid-Levels is that Hong Kong hasn’t rapidly risen up the liveability rankings for no reason at all: the Economist Intelligence Unit’s most recent ranking used an altered set of metrics that adjusted for spatial concerns, and ultimately placed Hong Kong first in the world. 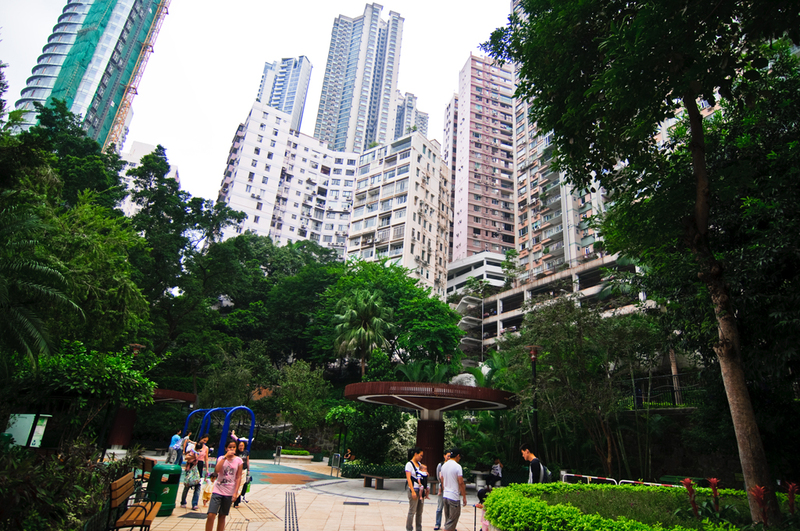 Despite the extreme density of the structures, there is ample public leisure space tucked away between the tall buildings and narrow thoroughfares. 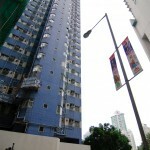 While exaggerated, if stunning, photographs of this density make give credence to arguments against the density levels and generally unimaginative residential architecture seen in Hong Kong, the characteristic high-rise structures that blanket Hong Kong’s urbanised areas are one of the great urban achievements since the development of the New York subway system. This convertible apartment is brilliant, haha! 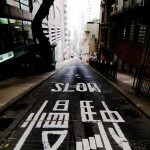 What kind of intrigues me about Hong Kong is that they do not seem to have similar problems which appear in other cities. For instance, when I was there I did not really discover any severe congestion problems, contrary to cities as Jakarta (during the whole day) or Bangkok (particularly during rush hours), even though densities in Hong Kong are thus even higher. Can you confirm that the public transport system in Hong Kong is functioning really well? 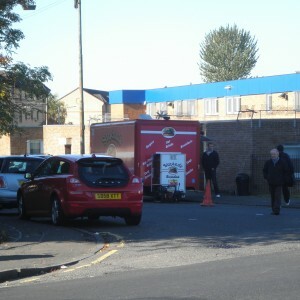 Or is congestion in fact quite a problem in some parts of the city? Furthermore I think it is quite striking that many Western countries decided that modernist architecture has been quite a failure, since it did not seem to work very well because of social issues mainly. In Chinese cities though, nearly everything they build today could be regarded as some sort of modernism. Do they think that what happened in North America and Western Europe will not happen to them? And what do you think is the main reason for them to assume this? I kind of want to locate the convertible apartment. That would be brilliant to live in. As far as public transportation goes, it is functioning well, but the congestion levels are high at all hours of the day on most routes, and is borderline extreme during the evening rush on Hong Kong Island. Getting to Causeway Bay on a Friday evening around 6PM is an adventure, to say the least. As far as modernism goes, the buildings that look modernist are not new: a huge proportion of these towers were built during the 1960s and 1970s when building standards were quite low. In a sense, the rational, compartmentalised design here is associated with poor construction quality to the extent that landlords sink incredible amounts of capital into renovating apartments. Contemporary projects tend to be mostly like that cheesy 1990s postmodernist stuff that’s plaguing many American cities, with occasional exceptions across the city (West Kowloon Cultural District, Kwun Tong, the occasional new town development). The desire to replace the older apartment complexes is high, but it’s quite difficult considering the extreme density of their placement. I find you have a rather positive view on housing in HK. How technically ingenious they may be, and how elegant some of those slender high rises appear… I cannot help but think of the displacement of poor inhabitants due to redevelopment, the sheer lack of space for pedestrian compared to automobile space (in an completely walkable city) and the lack of public space that is both accessible and facilitating the users to do what they want. I have a generally positive view of the housing for the reasons noted above. The towers are a marvel of design under extreme constraints that, say, Amsterdam would never encounter. It’s a great en masse example of what good design is meant to do: address a problem of constraint efficiently and effectively. Many of them might not be the most attractive or original buildings on the planet, but they’re not trying to be. – Displacement is like racism, I guess: you choose to see it. I don’t see displacement, largely because most of these buildings are, by and large, filled with locals (with obvious neighbourhood-based exceptions where there is a higher concentration of expatriates, such as Mid-Levels). 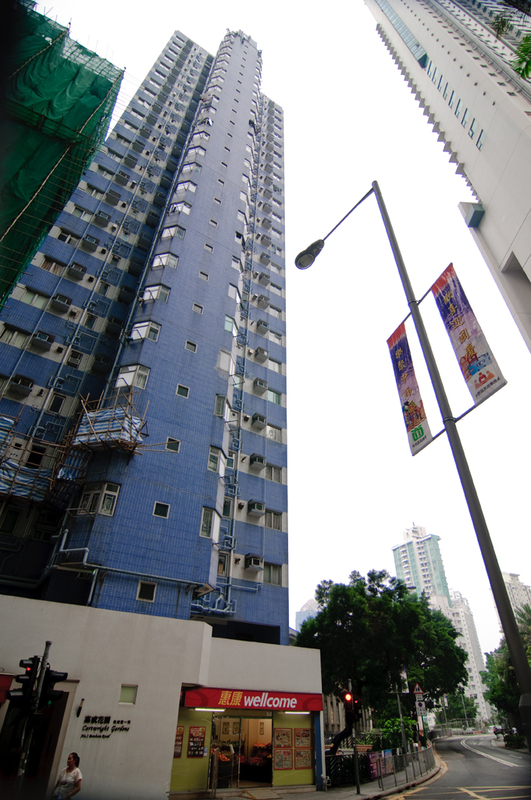 These buildings are commonplace across almost the entirety of the HKSAR region, so I don’t really see how their construction displaces because all social housing in Hong Kong is built in this manner. 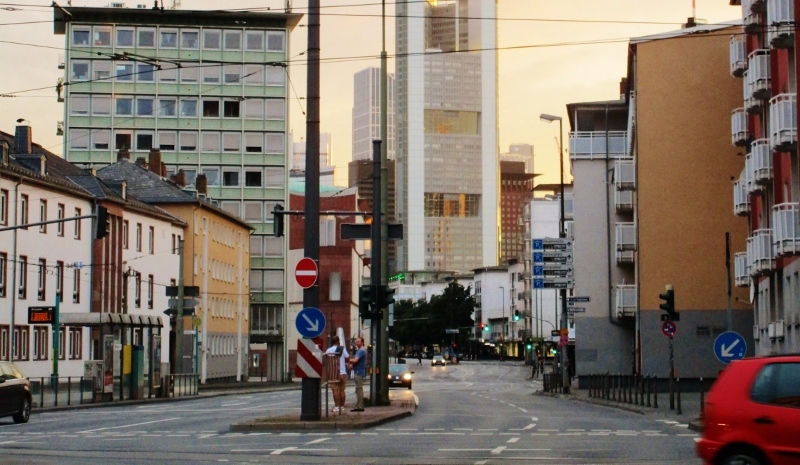 – As far as the lack of pedestrian space goes, this isn’t the fault of these towers per se. 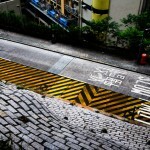 In the case of Hong Kong Island, there is no space to widen the sidewalks because the topography doesn’t permit it. As I’m sure you are aware, many of the roads on the Island are two-lane (i.e., small) roads and are not in need of expansion. 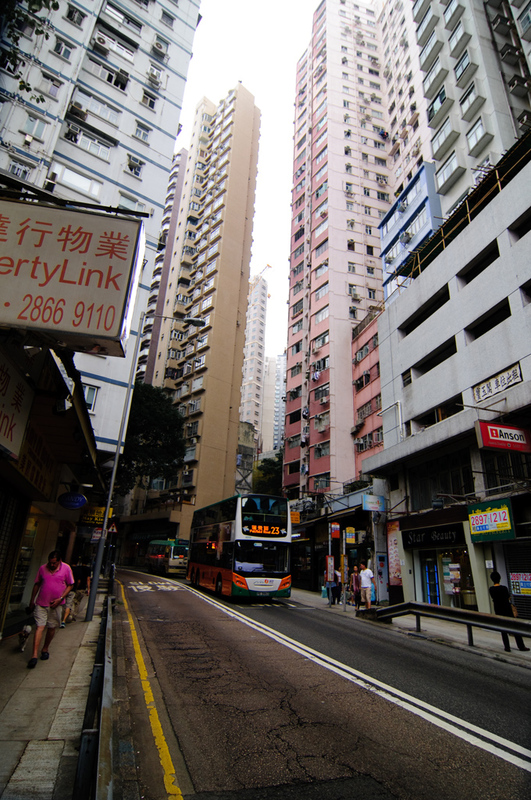 The parts of Hong Kong that are in desperate need of sidewalk expansion aren’t on Hong Kong Island at all: it’s the densest neighbourhoods of Mong Kok, Jordan, and Tsim Sha Tsui, where the roads don’t need to follow the limiting contours of the land because, well, it’s flat. – Walkability. This is a grave error, I’d say, because the acceptable radius for walking distance is determined by local cultural values. While I totally agree with you that Hong Kong is a fabulously walkable city (I frequently walk from HKU to SoHo, for instance: it’s a nice 30 minute stroll) due to the combination of interesting street layouts and awesome weather, the fact is that locals here do not consider our acceptable walking distances to be acceptable at all. This is perhaps one of the other reasons that this kind of architecture exists in Hong Kong, because it allows for many people to cluster together around certain community services and shops. First of all, thanks for the extensive reply! Of course some of my answer is based on my cultural values and the way I looked at the city when I was living there, and especially concerning the use (walkability) and supply of public space I might be spoiled with my Western European values. I have to open your eyes though concerning public housing and housing market accessibility. The older housing that is gradually replaced by new apartments leads to increasing rents that are unaffordable for the existing inhabitants. This is much worse in HK than in most other cities due to the extreme lack of housing supply on the HK island compared to the housing demand, combined with the extreme income inequalities in the society. 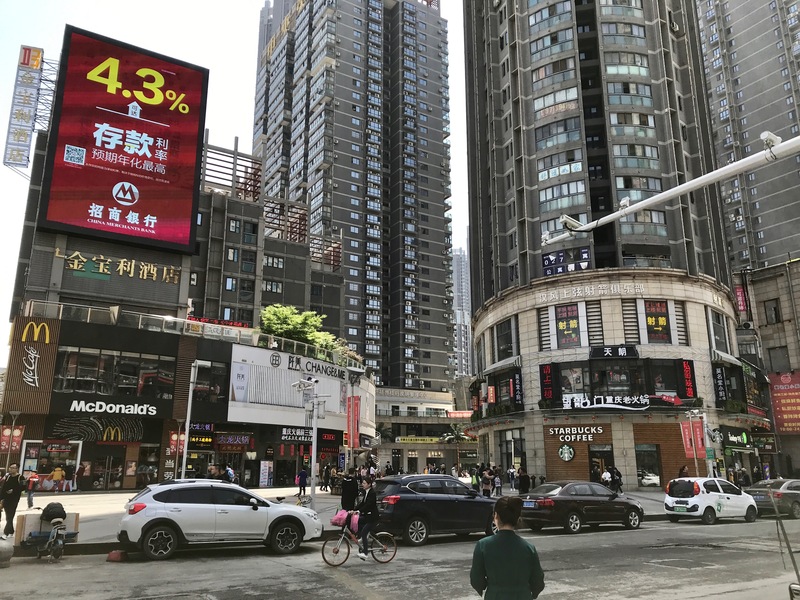 Social housing is definitely being built in HK, and also in high densities, but the vast supply of it has been created in the new towns, far away from the metropolitan area. This causes the locals that have to (or choose to – it is not always forced displacement) give up their homes in old housing on the island to have to move to the only decent alternative: the new towns. This displacement reduces the local social ties in these neighbourhoods, especially combined with the construction of (near identical) towerblocks for the rich, and the destruction of small shops and local amenities.